From Elephant Games, the studio that brought you Grim Tales: The Vengeance, comes a thrilling new chapter in the Grim Tales saga! Grim Tales: Color of Fright is rated 3.7 out of 5 by 27. Rated 5 out of 5 by jewel_43 from another great game in the series! I have to hand it to Elephant games ..they keep on churning out these great games! Colour of Fright was just as classy as the previous games in this series. The story line was good and the graphics weren't bad at all. I did use the hint button a bit more than I intended as it was far easier to use the hint button to get from place to place rather than trying to backtrack and remember which room I was trying to find. 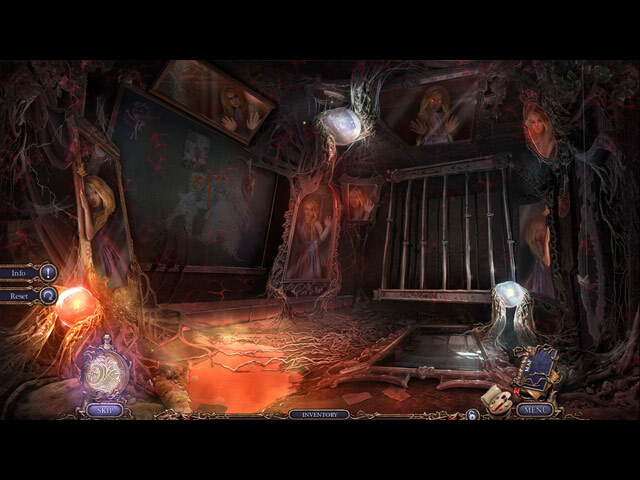 The game was fairly long and involved finding different keys to doors that opened up new levels of the game. Overall this was a great game and I look forward to playing more in this series. Rated 5 out of 5 by JulzCat from Color Me Impressed!! Poor Miss Gray! She can't go a day without having to deal with a weird relative none of us knew anything about! The best thing about this game is you get to revisit 3 familiar stories and characters (Luisa and John from "The Legacy", Jackie from "Bloody Mary" and James and Elizabeth from "The Vengeance"). Given how large the family has grown, it was nice to touch base with some of them and remember who belongs where. Brandon was, fortunately for him, out of town at the moment. You also get to draw and color paintings that come to life and help you...it was lots of fun! Rated 5 out of 5 by bessiegirl from Different and enjoyable Love the Grim Tales series and this was no exception. Although a bit "dark" in the sense its based on a jilted lovers intense hate for his childhood girlfriend, its still entertaining and quite long for a SE. I used the transporter hint most of the time for moving around; it was just easier than using the map and both the hint and skip were very quick to refresh. Enjoyed the storyline and the gameplay was smooth. Some scenes were wide and you had to move from side to side which took some getting used to. HOS were entertaining and varied and the puzzles were fine too. I actually did most of them. After I figured out the paint pallet I enjoyed that too and thought it was an interesting concept to the game. All in all, its a 5 star. The only con was the ending was a bit abrupt, but it closed the game nicely. I'm sure the CE expands more, but it's not worth paying double the price for. Rated 5 out of 5 by rpggramma from GREAT GAME!!!! Elephant has done it again, as usual!! Pennmom said it all! Nothing more to say, except : A GREAT GAME!!!! Just bought the new Grim Tales! Rated 5 out of 5 by radarsweet from A Fantastic Finale to the Series! I very rarely give a game a 5* rating across the board; this is the exception. What an amazing game! 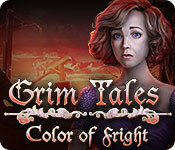 It takes the story line from each of the other 'Grim Tales' games, then puts a bow on it all! Fantastic imagination by the developers. I can't say anything bad about this game. It took me quite a long time to play, but I enjoyed every minute of it. There are 3 levels of game-play challenge, on easy mode the hint/skip charges in about 30 seconds. There is a jump-map, & believe me, you'll need it. Although you are in just one house [ok, an estate], there are a lot of rooms & a lot of jumping back & forth. I sometimes find that irritating, but the flow of the game was so good that I didn't mind. The graphics are superb. Everything is clear & well defined. I did have a bit of a problem with the program in general. It is a very large file, & it would sometimes take 5-15 seconds for the next scene to load. There are a variety of HO scenes, each one is distinctly different. You will NOT play the same scene more than once. Elephant Developers have a keen mind when it comes to mini-games. They were all interactive & took some thinking to get through. But they were so nice compared to the stale mini's found in other games. Don't give up on them! The game is a bit 'dark'. Dealing with the mental health of an unstable 'brother'. Re-play value on this game would be very high. Since it is the last of the 'Grim Tales' series, you'd have plenty of time to go back & play all of the others [which you should definitely do] & then come back to this one. I HIGHLY RECOMMEND THIS GAME. Rated 5 out of 5 by b2u4 from Overall worth buying This game has so many new type hidden object areas & I could click Hint if needed - but didn't use much. I enjoyed the mini-games even though usually they were hard & didn't know what to do next. Unfortunately I had to skip because there was no hint for that part. This part would be better if they had a Hint for various areas (not just the info) - so I could continue instead of having to completely skip it. The developers did a lot of work to create all these different things/games you have to do - but a decent hint would work in those places. Otherwise you do have Hints you can use. When you complete a room, you go to another room & may have to go back to that room. In the beginning that is just typical playing. But it did get rather annoying toward the ending because you have to go from room to room to room to room just to get 1 item or place an item. The Best part of that is they have the Map you can use to go from room to room & it shows you Where you need to go. Even though there is some eery (spelling) rooms but even the darker areas didn't stay that way for long. (I personally do not like the really dark-type & was afraid this was one of them - but it wasn't) [To make it even better - perhaps more rooms we've not seen - even if we had to return to previous rooms - and to add more help on the mini-games because I wanted to finish them but when I got stuck, I had to skip.] But Overall, it was well worth my time & was fun while it made me think, consider, find. - And most wasn't very easy. Rated 5 out of 5 by deddu from SAVE THE GRAYS FROM THOMAS Very clever puzzles in this game. The graphics are bright. You get helpers along the way -- you draw them; then color and then release them to help you. You have a map, hint button and can teleport. Rated 5 out of 5 by pennmom36 from All Your Nightmares Are Coming True! Aunt Gray was running a little late for the Annual Gray Family Reunion, it's a good thing because adopted brother Thomas has escaped from the mental institution! Thomas never felt close to his adopted family, with the exception of Luisa who loved watching Thomas paint, a truly talented artist. Little did she know, Thomas was able to turn his paintings into reality, and today he has used this unique ability to seek revenge on every Gray family member for institutionalizing him. Thomas has planned a surprise, the Gray family members will relive their nightmares, exposing each of their darkest family secrets! John and Luisa will once again bare the werewolf curse, Jackie will once again face Bloody Mary and James was found innocent of his sister Elizabeth's murder, or was he? The Gray's seem to have more than their fair share of drama, can Aunt Gray help every family member at the same time and put an end to Thomas' irrational behavior? The graphics just keep getting better and better with each new Grim Tales release, and the interactive features are the icing on the cake! 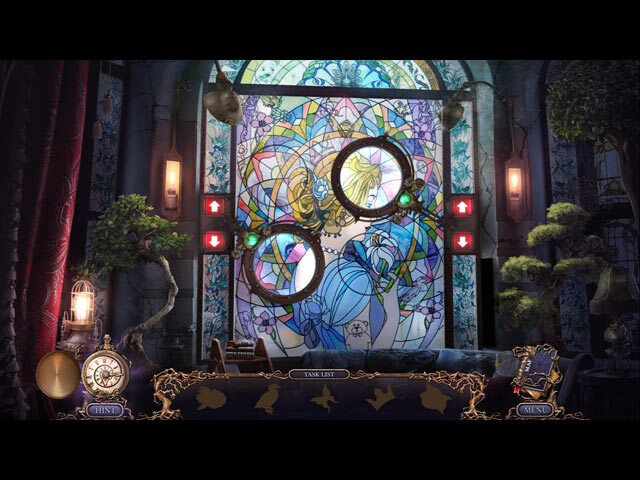 Every scene has several items to interact with in an attempt to make the game as real as possible, feed the fish and watch them gobble up the food, play with the pond's fountains and watch the water dance, move branches out of your way and turn on the lamps, even better, most of the scenes allow you to scroll left and right seemingly flawless! Some of the inventory items require you to interact with them as well such as repairing that item or combining that item with another inventory item before using.You will also come across Thomas' painting kit that allows you to paint unfinished sketches you come across, and bring them to life just as Thomas does. 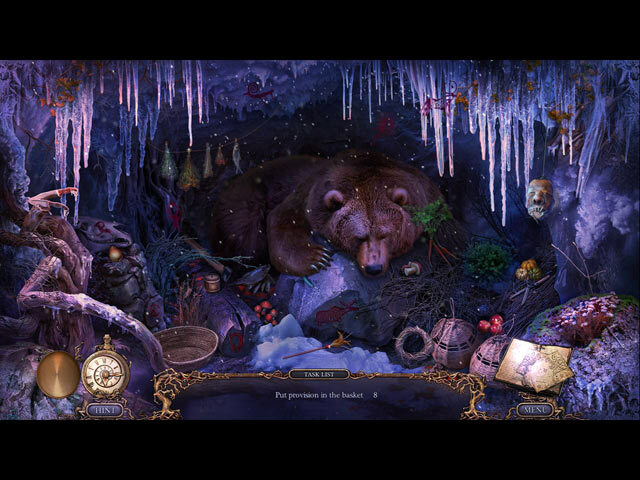 The Hidden Object Scenes are mostly interactive list finds and some of the HO objects you find will reveal a fragmented piece that can be assembled when all pieces are found. One of my favorite mini games required you to interact with different elements to solve the puzzle such as, clicking on flower petals to receive a moon emblem which is then placed above the wolf who begins to howl causing stars to twinkle in a specific sequence that you repeat. The wolf disappears and a Bichon Frise dog appears, you place the dog with Elizabeth and click on him several times to chase away her murderer and you continue this process with each family members personal nightmare. The Collectors Edition is so much more fun with Morphing Objects, Collectible monsters, a Secret Room, Achievements, Wallpapers, Concept Art, Screensavers, Music, a built in Strategy Guide and a Bonus Chapter, enjoy!